Here are top 20 best HD Windows 10 themes and Skins 2019 that will enhance your Windows 10 look, Mac theme for windows 10. As we all know, Windows 10 free upgrade is available to everyone and, many of you might have already installed Windows 10 on your computer. Therefore, today we bought you some best Windows 15 Skins or themes that will enhance your overall OS look. Go through the post to discover the themes. Windows 10 is already out, and its fresh look is attracting everyone and enhancing its looks a bit more we are here with best HD themes for windows 10 2019. As many users were using skin packs in the previous version of Windows that is in Windows 7,8,8.1 etc. which makes it look fashionable, similarly you can use skins/themes in Windows 10 to make it look more attractive and also it will include wallpapers that you would love to set on your desktop screen. So have a look at these best skins that are currently available for Windows 10 below. Hope you all have upgraded your PC to Windows 10, so its time to make your computer screen more attractive with some skin packs that I have selected for you after checking out each skin on my Windows 10 PC. We have also listed some of the best hd themes for windows 10. So check out the best windows 10 themes 2019 below and get it and make your PC’s look much better than default looks. 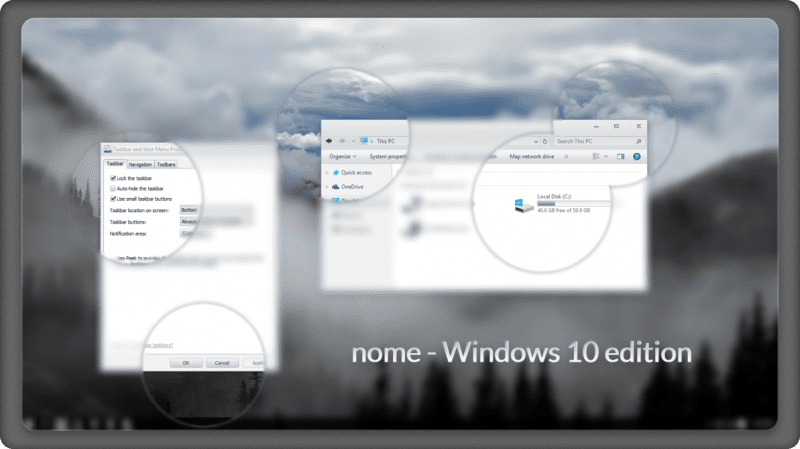 Make your Windows 10 PC looks like Mac OS X with this cool theme that will give you a great experience like Mac desktops that you can use in your windows. The app drawer and much other similar to Mac OS X. 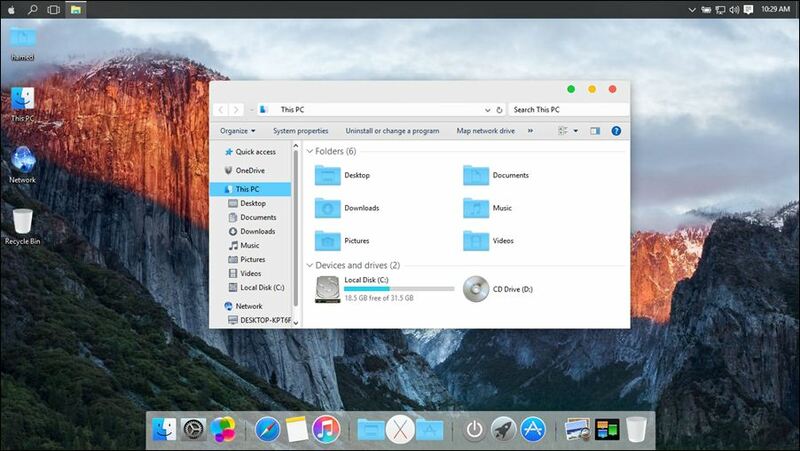 You can get Mac OS X El Capitan windows 10 themes free download from here. Another cool skin that can give your Windows 10 a great look that you might not expect. This skin gives a native look of Aero Glass interface on your Windows 10 PC, and you will get a cool glassy transparent interface. It’s Windows 7 cool interface on your Windows 10 if you are missing out some Windows 7 features like start button interface then time to use this theme and get back your Windows 7 looks on your Windows 10. The most amazing theme or skin say I ever tried on my Windows PC that will give your PC an amazing look and also the fully customized screen that you will love to have on your Windows 10 desktop. 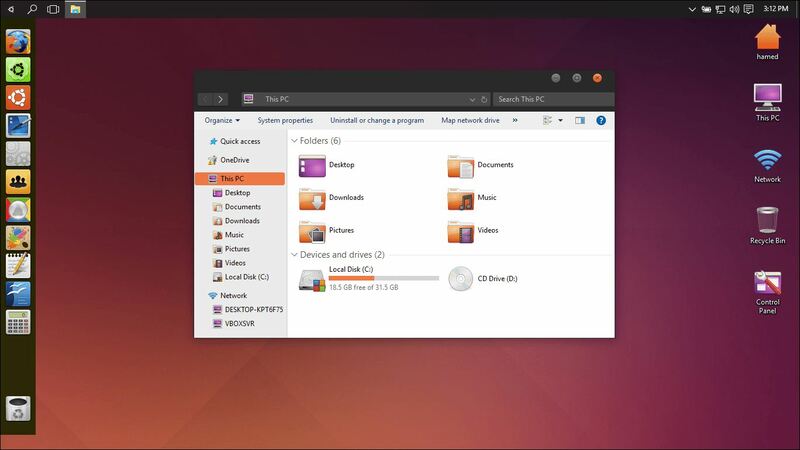 Many of you have used Ubuntu OS, and you can get the complete interface of Ubuntu on your Windows 10 with this cool theme that will convert your Windows 10 PC to Ubuntu. 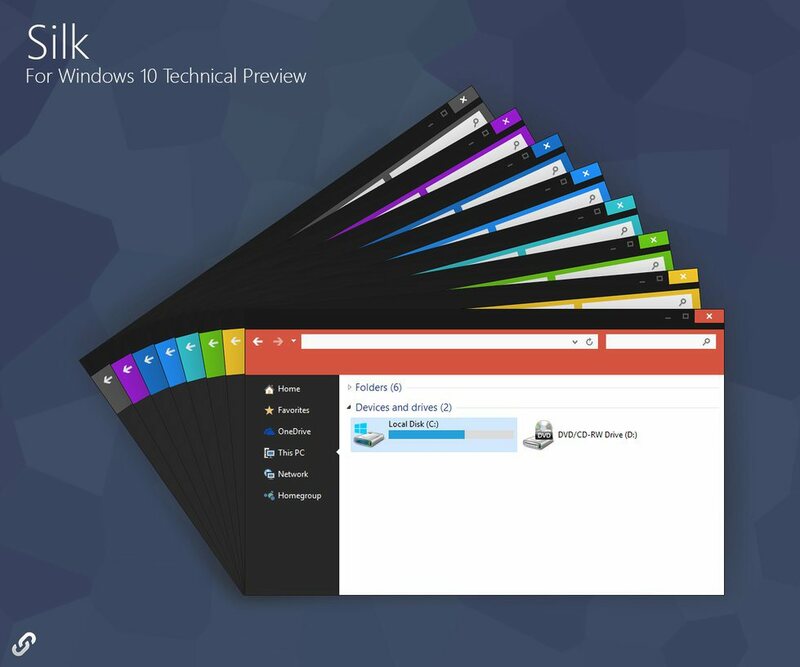 Its one of the best windows 10 full hd themes which you can use right now. It is another beautiful theme that is clean and elegant. The theme is borderless, and it shares the similar look like any online cloud services. It will change and overall enhance your operating system look. 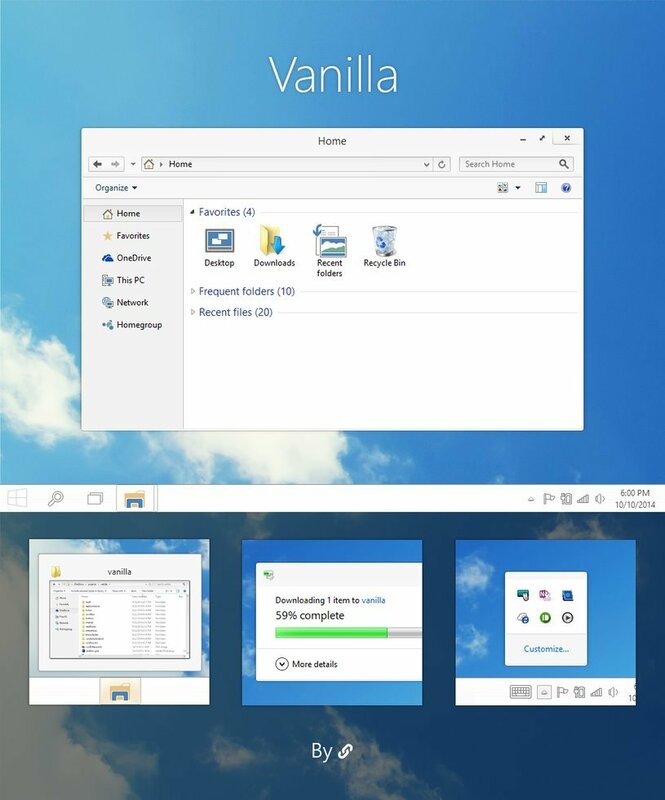 You just need to download Vanilla theme and enjoy. This is the theme based on nature. Imagine stepping through your screen into this free Windows theme, featuring beckoning images of country lanes, wooden stairs, forest trails, and other scenic paths. This theme contains eleven HD nature images that will ultimately change your Windows 10 experience. Well, do you want new style on your desktop? Oxford theme is built by keeping simplicity in mind. This minimalistic theme is the best theme you can apply to your Windows 10 computer. 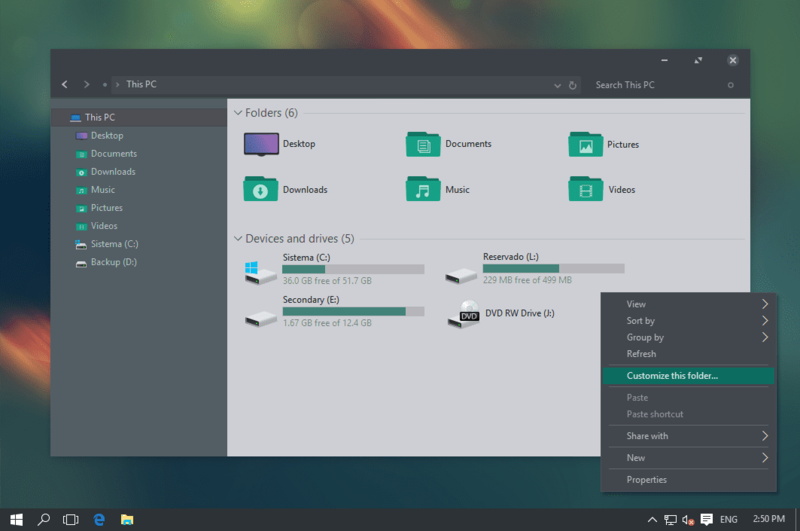 This is one of the best themes you can use on your Windows 10 computer. This theme includes 8 versions of Flattastic Light theme and 8 Version of a Flattastic Dark theme. This theme has a minimalistic look, but it looks awesome. If you want to experience Diversityx Vs interface on your Windows 10 Pc then you couldn’t get any better theme than this. The cool glassy transparent interface looks classic. You must try out this skin. This is another cool Windows 10 theme which can give your computer a great look that you might not expect. This theme carries a minimalistic look by giving a classic interface. If you want a new style on your desktop, then this theme might be what you are looking for. This is really awesome them. The combination of black and orange color simply looks fantastic. If you are looking for a dark them then this one will be useful for you. The theme is been designed to use neutral dark colors. You will not find any jarring contrast or irritating colors anywhere on the screen. This is another dark theme which you can apply to your Windows 10 computer. This theme uses various shades of gray and adds some color to it. This is another best theme you can have on your Windows 10 desktop. If blue is your favorite color, then Simplify 10 could be the best choice for you. As the name suggests, Simplify 10 is simple by classy. The UI is very neat, but it comes with different color pattern mostly grey and white. The theme looks classy by minimizing the sizes of the buttons. If you want to roll back to the old and classic Windows XP, then Windows XP could be the one you are looking for. 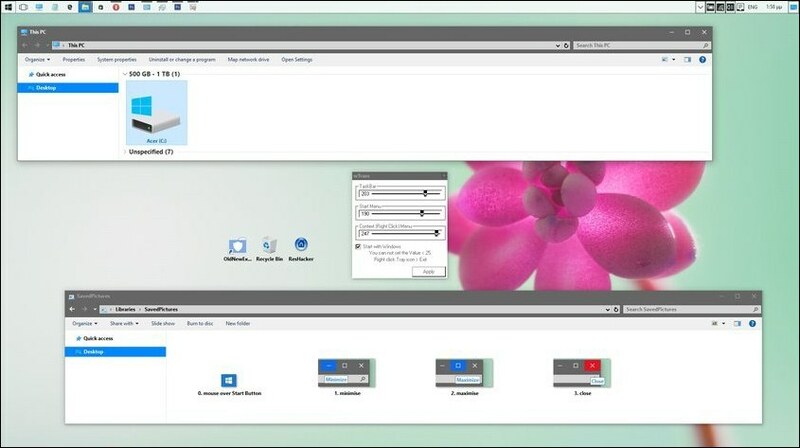 The theme brings back the look of old Windows XP on your Windows 10 computer. However, users need to download the classic shell to use the theme. After downloading the classic shell, you need to get the Classic Shell XP Suite for Windows 10. As the name of the theme suggests, Windows 95 claims to bring back the look and feel of Windows 95 on your Windows 10 computer. With Windows 95 theme, you can get gradient title bars and rectangular buttons which defines its finishes and edges. So, it’s another best Windows 10 theme which you can use today. Well, if you are looking for a windows 10 dark themes, then Seda might be the one for you. Seda is not completely dark, but it represents the dark mode which we normally see on Windows 10. Seda also got a light menu in the settings which you can use it too. macDock is one of the best themes which you can use on your Windows 10 computer. The theme can give you an exact look and feel of Mac OS. It’s also one of the best windows 10 themes with sound You will get a dock where you can easily access frequently used application. Not just that, you can also pin anything down to the Dock which you frequently use. 3D Theme is one of the top-rated Windows 10 themes which you can use right now. The Windows 10 theme will greatly transform the look and feel of your operating system. Guess what? 3D Theme features HD wallpapers in 3D graphics which looks amazing. The theme is entirely free to download and use. So, 3D Theme is another best Windows 10 theme which you can use right now. Proma Skin is another good looking Windows 10 Skin pack which will significantly improve your Windows 10 experience. The skin pack basically adds a pink color overlay on the top of the operating system. Not just that, but it also converts the white background of right-click menu with Pink color. So, Proma Skin is another best Skin pack which you would love to use. Do you like the combination of Nvidia color code? You can avail the same black and green combination on your Windows 10 computer with Nvidia Skin. Nvidia Skin completely overhauls the interface of Windows 10 into something darker which not just looks amazing but it feels light on the eyes. So, Nvidia Skin is another best Windows 10 skin pack which you can use right now. If you are looking for a Windows 10 skin pack to reduce eye strains, then Soft Light Skin might be the best pick for you. Well, it’s not scientifically proven that the skin pack will reduce the eye strains, but the Soft Light Skin tones down the brightness level of the explorer window which does feel light on the eyes. Well, Stars Align Skin is another best Windows 10 skin pack which you can use right now. Unlike all other skin packs which reduce the brightness levels, Stars Align Skin completely replace3s the white interface with something light and dark grey. The skin pack looks good and it’s definitely one of the best skin pack that you can use on your Windows 10 computer. So above is the Best HD Windows 10 Themes 2019. Get the themes and make your PC look more fashionable than your expectations. These skin packs will also work on older version of Windows. Hope you like these cool themes, do share it with your friends and Leave a comment about your favorite one too.